"Don't expect to see what you expect to see. Expect nothing and you might gain everything." - Peter Townshend (Guitarist, The Who) talking about the song "Don't Get Fooled Again"
"Don't have expectations" is an oversimplification. I go with expectations. 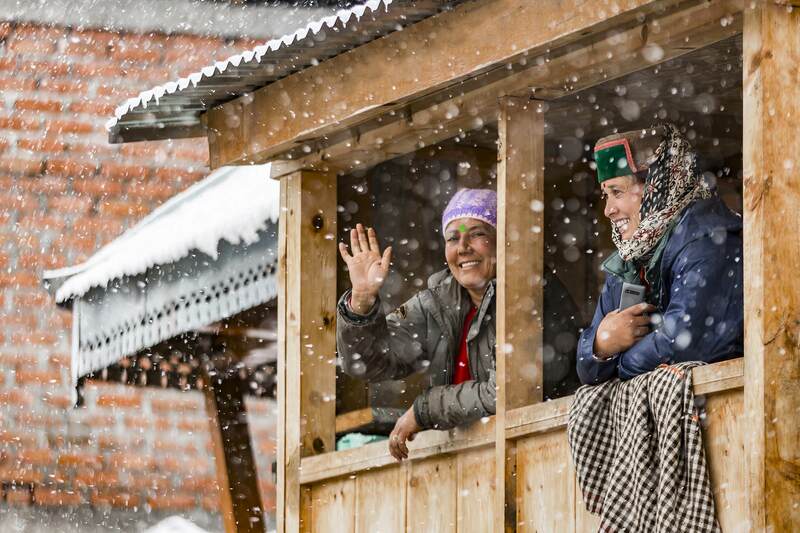 Expectations of snow-capped mountains, long scenic drives and friendly local people. 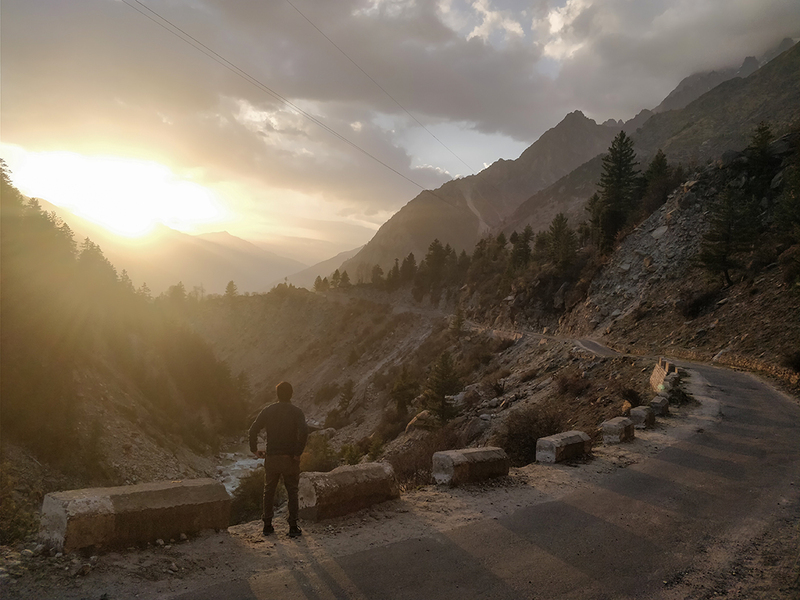 The light, the sun, filtered by clouds sliding over the looming mountains, is my simplest and most enduring memory of the last village on Indian border, an outstanding, magical destination: Chitkul. 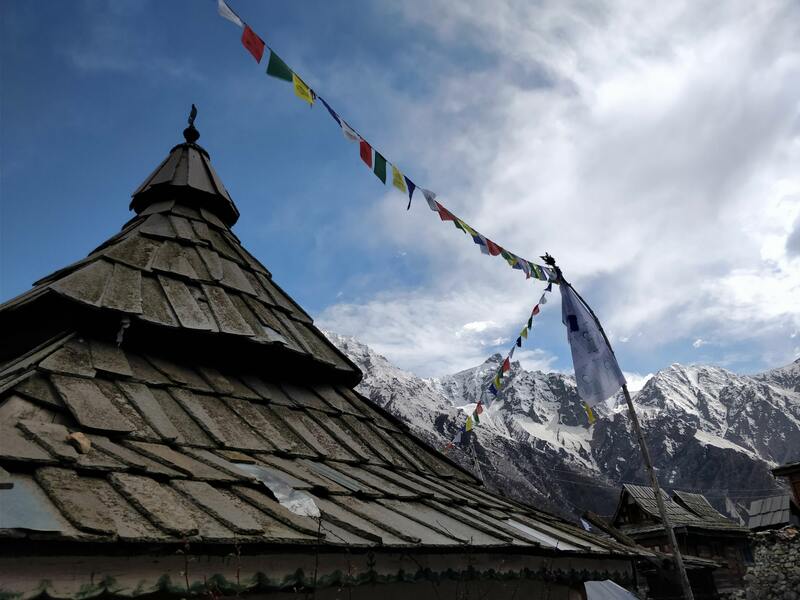 Situated at 3,450m (11,320 ft) above sea level, I visited Chitkul with a guitar and a blank mind, setting high expectations for myself, not setting any for the external situations. Frankly confessing, my city life is a representation of daily hustle-bustle tangled in weirdness! Every day, I strive for materialistic pleasures that would showcase me being superior to others and sustaining a lifestyle that is an epitome of: the fallacy that I’m living well! 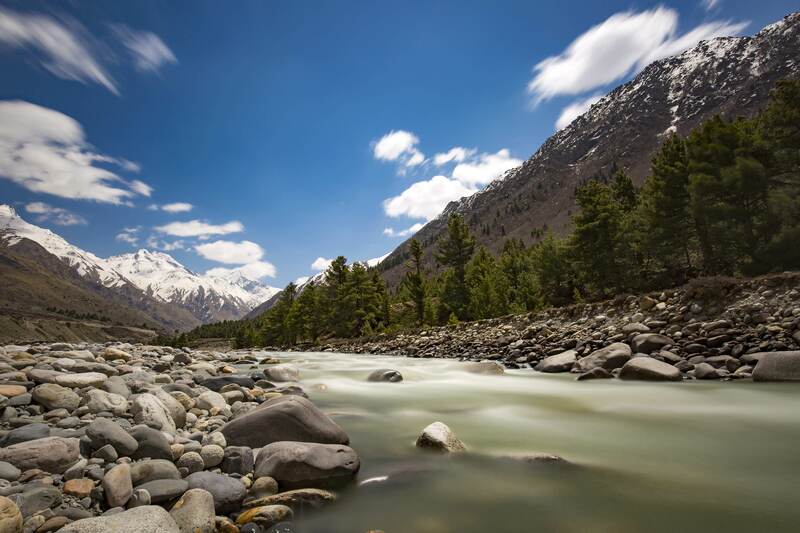 But all that changed with Chitkul. 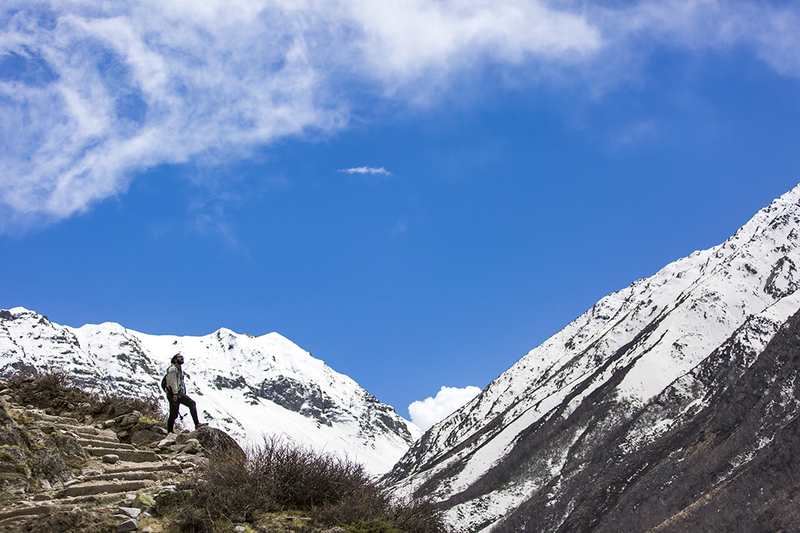 The journey to Chitkul itself was full of adventures. 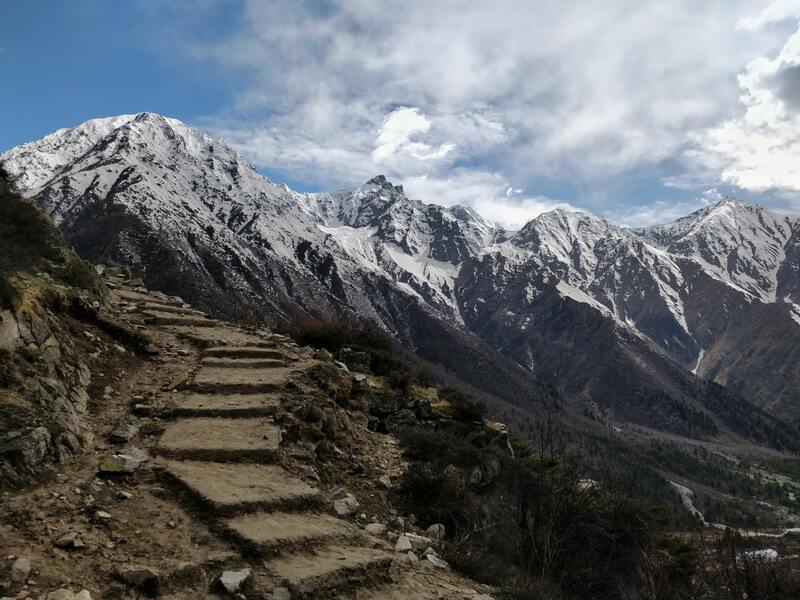 After acclimatization in Kufri (8629 feet), I headed further towards Chitkul, with Shimla, Narkanda, Rampur, Sangla, Rakcham to go. As the journey progressed, I could feel a mild headache. Dehydration, being my first assumption, I took my bottle and drank a few sips of water. 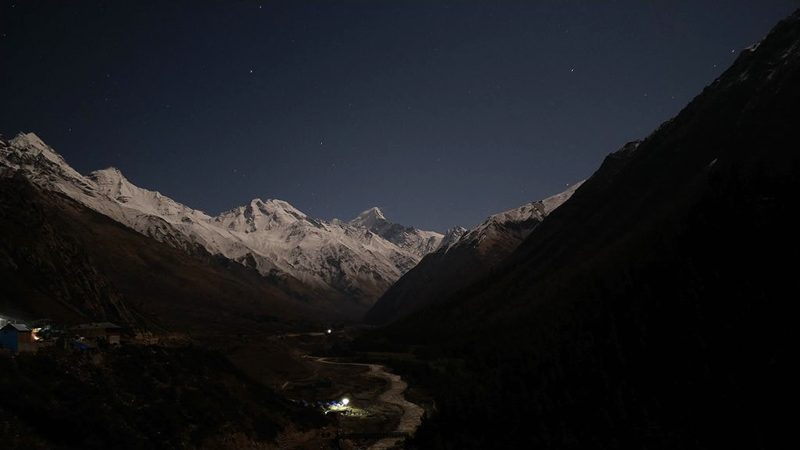 After almost 30 hours of journey, upon reaching Chitkul around 7 in the evening, I could feel my feet swelling. Thought it was because of the cold weather. I didn’t find it necessary to inform it to anyone. By 9pm, I was feeling very tired and didn’t feel like having dinner. I did have little though, as my friend insisted on me not sleeping on an empty stomach. The night I couldn’t sleep properly, I could feel the shortness of breath and it kept waking me up. The sign of my body giving up showed up around 4am when I woke up to a funny feeling in my stomach. I came out of three layers of blankets and took small steps around the room, hoping this would make me feel good. Within five minutes I rushed to the washroom to vomit. Suddenly it felt like I couldn't breathe all that well anymore and everything started going black and silent. I could feel myself slipping away and thought something was seriously wrong and started freaking out. Next thing I know, I wake up sitting on the washroom floor, water still running in the sink. I don't know how long I was out for, I believe about thirty minutes. I had two packs of Fruity, ignored my condition and crashed into my bed at 5, hoping it would go away. To my surprise, it did. Woke up around 9 in the morning with my body all ready, not wanting to hit snooze. 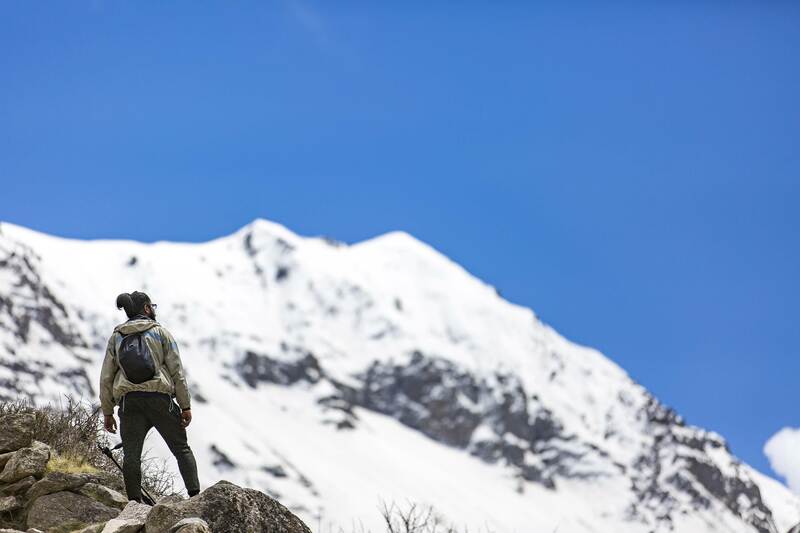 This was a typical case of acute (mild) altitude or mountain sickness, the mildest and the most common among all other altitude sicknesses. Waking up in the morning, while my sleep was still unfolding, it was unfamiliar at first to not hear all that city noise. The first two days, I honestly did miss checking my phone (and Instagram “feed") the first thing in the morning. 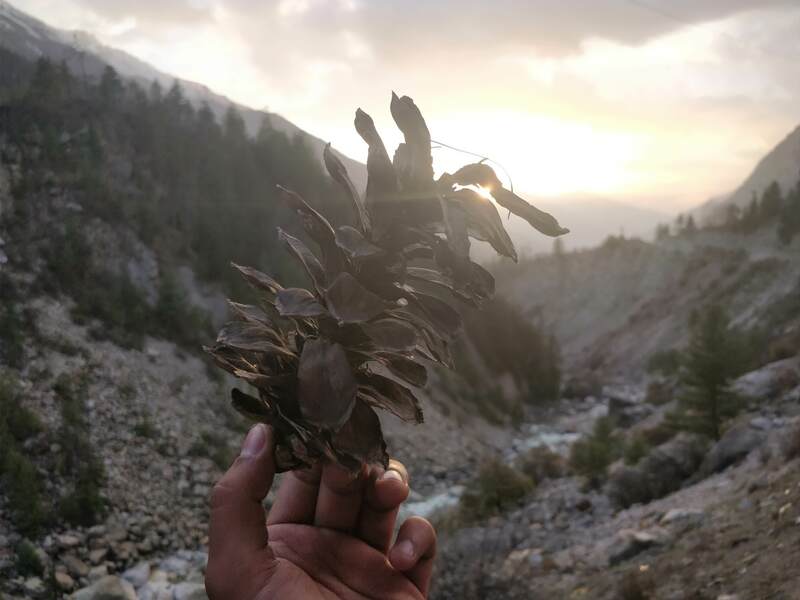 A rather unsettling feeling of being disconnected and 'outside' of society took hold. This feeling quickly made me realize just how reliant I had become on social media for a feeling of social connection. This realization helped me to push those first two days. These two days I felt bored and had a constant feeling of 'what the hell do I do now?'. But after a period of oh-my-god-what-did-I-do, drug-like withdrawal, I felt a calm setting in. The whole idea began to feel really freeing, and that my life had indeed become simpler! I was able to spend much more time on improving myself through making music, reading, meditation, and being in nature. I knew this was a journey to living more simply and mindfully and I knew that this was a wonderful step. I used to get all my news from the only cable TV at the tea shop, and I didn't miss a beat. In the ever-fast city life, one is in really deep with the self-loathing comparing oneself to others. 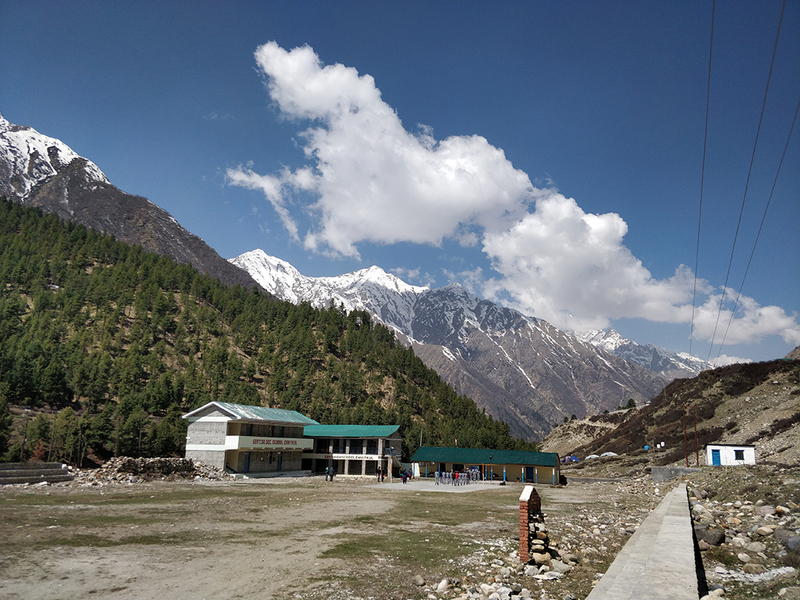 In Chitkul, that almost completely disappeared for me. Gradually, I got really content going at my own pace in life. I became hyper-aware of how many people spend their life on (and for) social media. I used the extra time to focus on more self-improvement. Cutting-off for a week was a powerful act. This was a perfect opportunity to start and go deeper in to my hobbies. 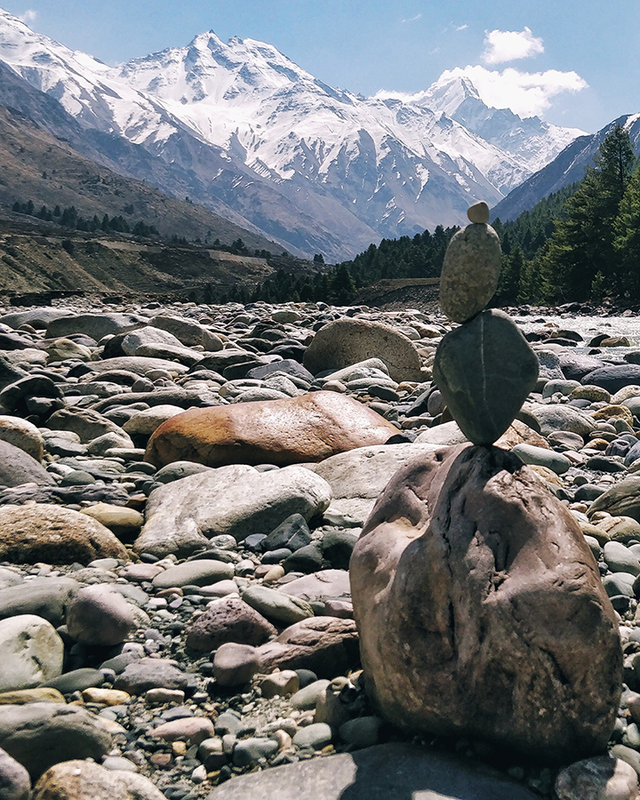 I started spending the time I'd otherwise be using social media with other things – rock-balancing at the river bank, going out for walks in the village, getting into photography. On a side note, I agree that social contact is a natural human instinct. But it was a harsh realization that my virtual “friends” were creating the illusion of a connection, not an actual social connection. Being in a no-network zone gave me a lot more time to personally meet people, which was highly rewarding. 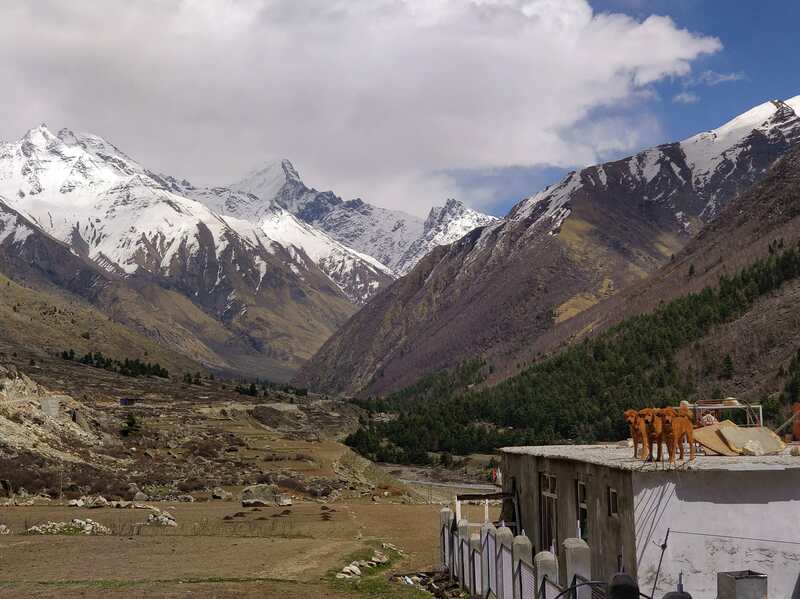 The day it became alerting for me was when I reached Sangla Valley, on my way to Chitkul. I was so invested in snapping a good video (“Instagram Story”) of the landscape, that I basically ended up watching the whole thing through my phone screen. So, despite being there in person, I experienced just as much of the show as my Instagram followers, who are sitting at home. 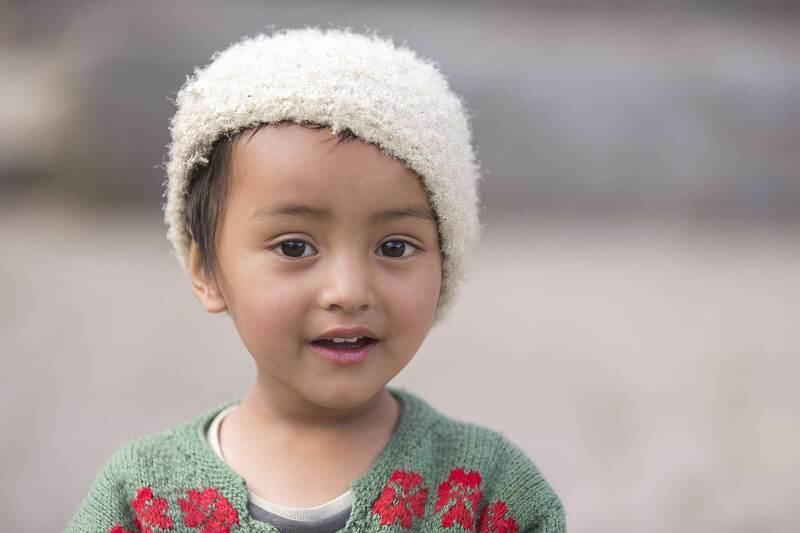 This one heartwarming experience dates back to Buddha Purnima (a festival celebrating the birth of Buddha). It was a beautiful sunny afternoon and after hiking up a nearby hill, we were as hungry as a bear. 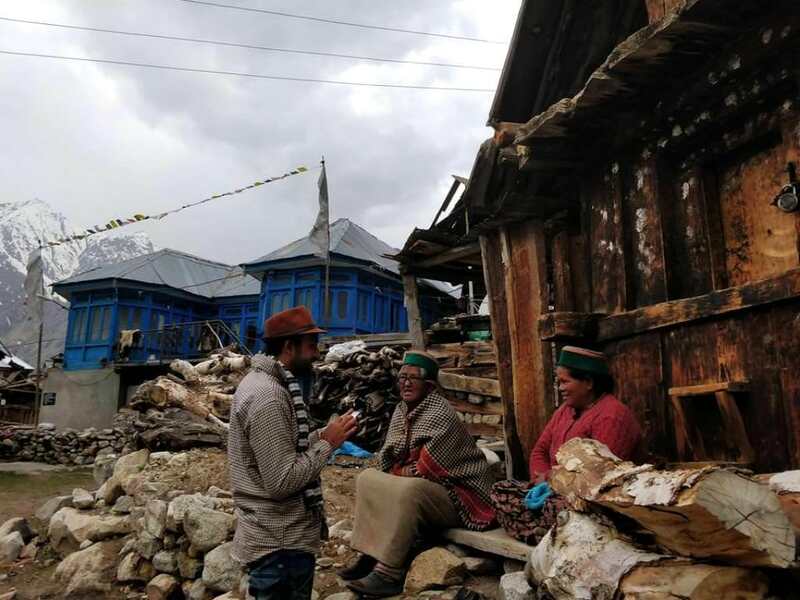 When we saw a group of elderly ladies inviting us over for lunch from a distance, it made the final descend to the village worth all the effort. The mention of food fueled us with energy and we were all charged up to tread the last lap. 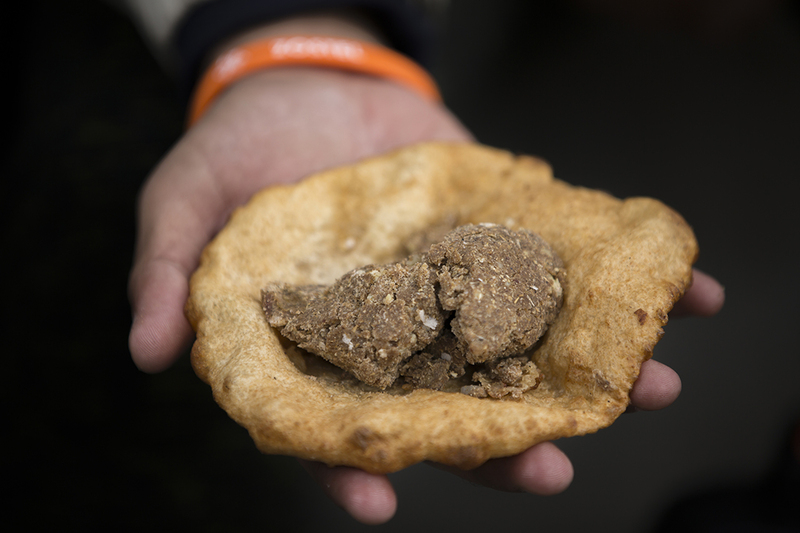 When we finally reached their house, it seemed like a well-deserved treat both for the body and stomach. 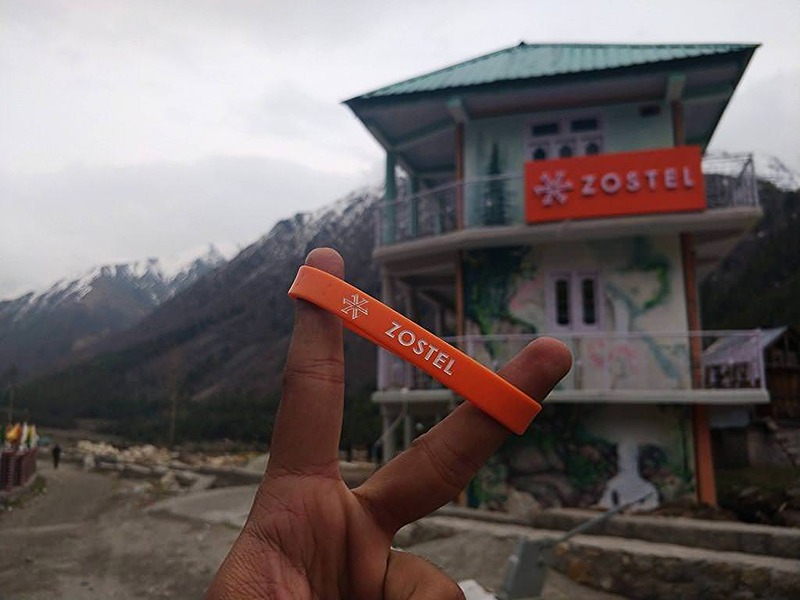 The combination of unique ambiance and home-cooked food made the whole experience very special. They made us sit in the open kitchen, gave us time to catch our breath and served us water. Little kids were playing with calves and goats in the vicinity. 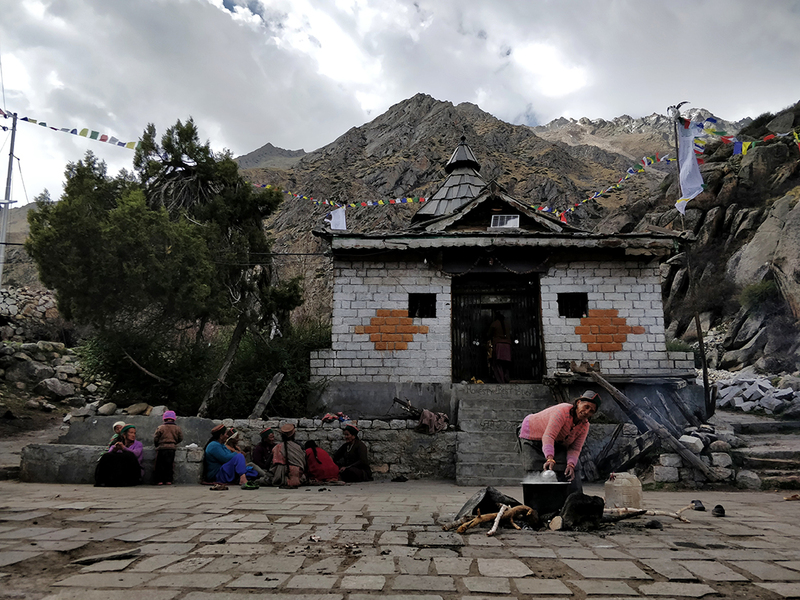 While the elder most ladies were sitting in a circular gathering, talking in their native language, it was heartening to see some ladies putting up a big meal for us. We were served tea, buckwheat puris and sattu halwa cooked in fresh ghee to give us a taste of the authentic Himachali style of cooking. The warmth and hospitality of the locals and the experience of eating a wholesome meal in their kitchen made for a lovely travel memory. I always think, “if not through apps, how did people do it during the early 1900’s?” Basically, if people wanted to stay in touch with you, they’d meet you. Instead of feeling disconnected, I felt even more connected. It's because the connections that I made were more meaningful and stood for something greater than some random likes from someone I used to know. This journey changed me by exposing me to things that I wouldn't have otherwise encountered. Exposure, that cannot be replicated by anything else. However, that also means that not all travel is going to be equally life-changing because not all places are equally different to your normal experience and different places are going to affect people differently depending on what's important to them. 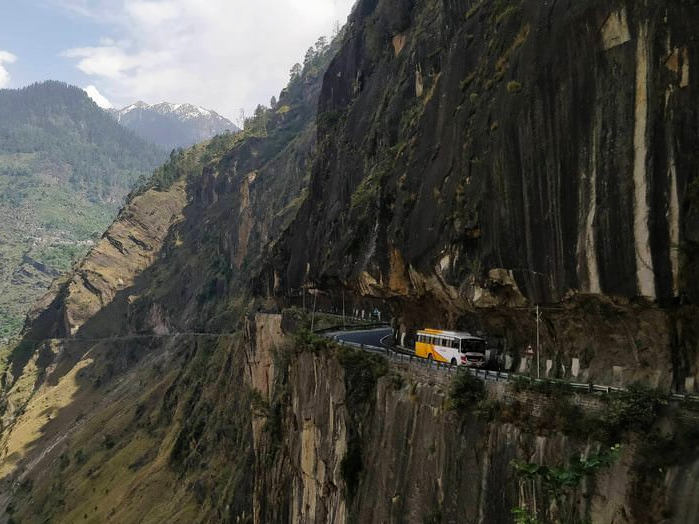 If you're someone who loves stark beauty, greenery, massive mountains with imposing monasteries sitting on them and you live in Delhi, then traveling through northernmost part of Himachal Pradesh is likely to be more significant than traveling to Mumbai. Back to the city, personally, I'm appreciating who is in my life more. It was so much nicer catching up with friends when they had no idea what I was up to. Now, it doesn’t really bother me what other people do. I probably won't even be remembered. But on a long enough scale, none of us will.